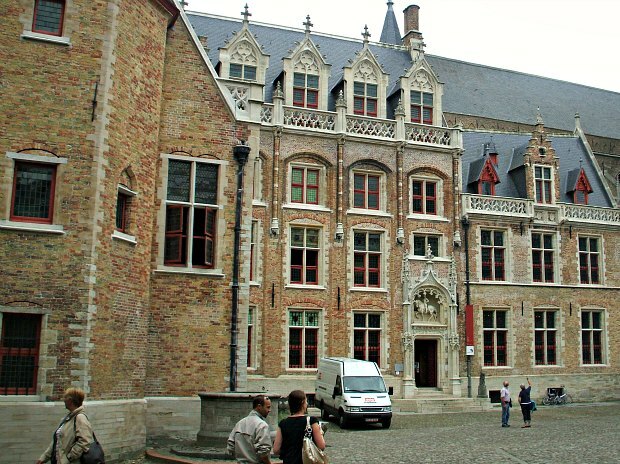 The Gruuthuse Museum is housed inside the stately home of one of the richest families in old Bruges. The various rooms are used to display museum exhibits charting the history of Bruges. We think they’ve missed a trick though, because the building itself and the family who once owned it are far more interesting than the museum pieces. The house layout remains roughly as it was when the Gruuthuse family lived here. They made their money from ingredients for beer and they clearly did very well out of it. Their home is palatial and it’s a real insight into how the rich lived. 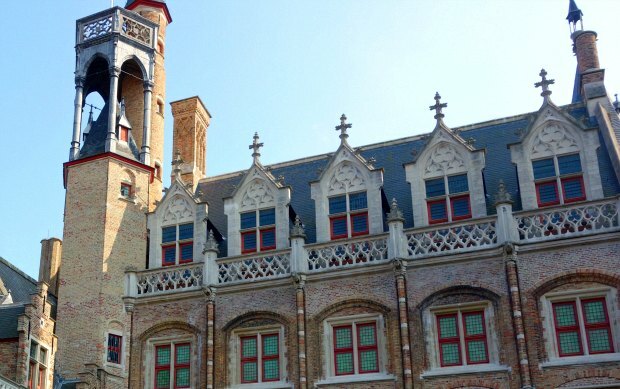 The museum holds all kinds of objects that refer to life in Bruges between the 15th and the 19th centuries. The operators of the museum are particularly proud of the “Room of honour” and describe it as the museum’s main asset. It has tapestries, an impressive fire-place and richly decorated timber: they all remind of the luxury and wealth of the Lords of Gruuthuse after whom the palace and museum are named. Outside the museum there are beautiful walkways at the rear and an attractive courtyard at the front. These areas were used in the black comedy movie “In Bruges”. 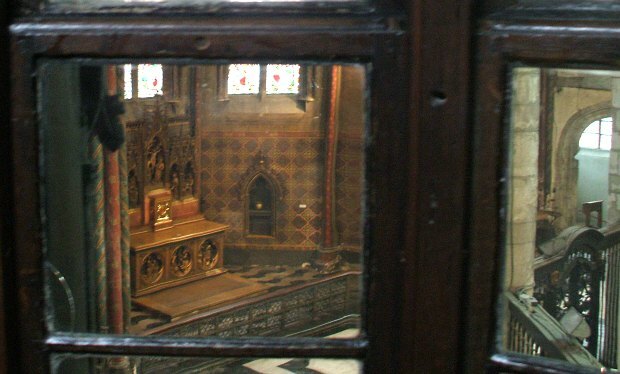 One highlight not to miss here is the private chapel which has a window into the church next door. This allowed the family to attend services without leaving home and without mingling with the poorer people! The Gruuthuse Museum is closed for restoration until 2017. When open, hours are usually daily from 9.30am to 5pm. The museum is located right next to the beautiful Church of Our Lady.